Volunteers are a big part of what makes this garden so special! Please consider joining our team of excellent volunteers. We have a variety of opportunities throughout the year for you to help sustain and improve the garden, both onsite and within the broader community. Whether your preference is to work with people, plants, or both, we have a job for you! Call for Volunteers: We will be soliciting help with our upcoming special events, please add your name to our volunteer email list (volunteer@kruckeberg.org), to get involved. We will need everything from help decorating with holiday lights, to drivers for our courtesy shuttles, and staffing the refreshment booths. These events are fun, and take a community to put them on. We’d love to have you. All volunteers are required to fill out an Individual Volunteer Service agreement prior to participation. You can download the form here. Current volunteer opportunity with Children’s Programs: Though we welcome new volunteers for all of our programs, we are especially seeking out volunteers for our summer camps. Check out our “Children’s Programs” section below to see if this would be a good fit for you. Attend one of our drop-in work parties, every Thursday afternoon from 1:00 pm – 3:00 pm. Come dressed for the weather and ready to work alongside our knowledgeable staff. Work gloves and water bottles are recommended. Tasks vary from week to week, but a rough calendar can be found below. Please note that projects are subject to change. April 4: Raking beds outside and around front garden area, and parking lot. April 11: Mulching beds outside and around front of the garden. April 18: Spreading chips on paths in children’s garden, and other garden maintenance. April 25: Fixing and repairing/ replacing broken nursery benches. 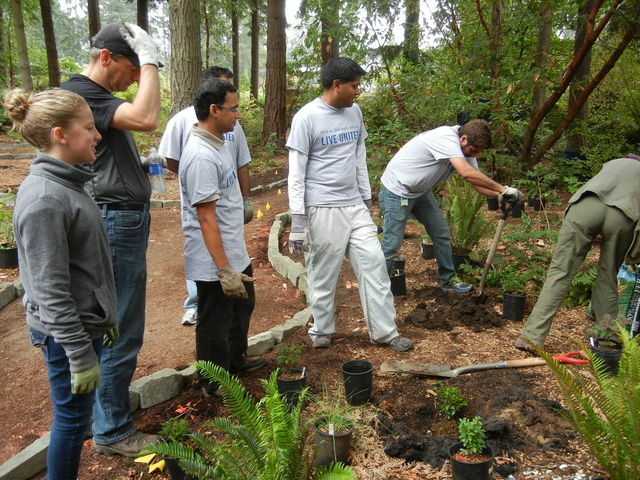 We can also schedule groups of volunteers from companies, professional organizations, clubs, universities, and schools to come to the garden for days of services, work parties, team-building, and more. Contact volunteer@kruckeberg.org for more information. These programs are great opportunities for high school and college students (but others not in those categories are also welcomed). Will consider volunteers ages 14 and older. We provide training to familiarize volunteers with program material. If interested, email justforkids@kruckeberg.org or call 206-546-1281 ext. 70. Each summer camp has a different nature theme and is geared toward a certain age group. July 8-12 and 22-26 are camps for kids entering 1st-3rd grade. July 15-19 is for kids entering 4th-6th grade. We are looking for volunteer counselors to assist campers during activities, play games, enforce camp rules as needed, and make every camper feel known. 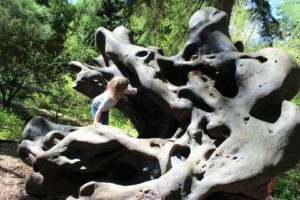 An extensive knowledge of plants and animals is not required, but volunteers should possess enthusiasm about nature and excitement to work with kids in a naturalistic garden setting. We ask that summer camp volunteers commit to a full camp session (five days), or more if so desired. 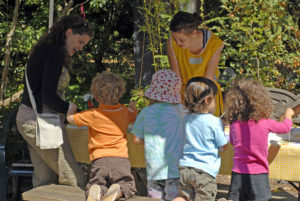 Garden Tots is a drop-in program for families with children ages 3-7 years old. It consists of a garden exploration activity and a craft focused on a different nature theme each week. Volunteers set up materials for the day’s activities, check-in families, help with the art project, and clean up. 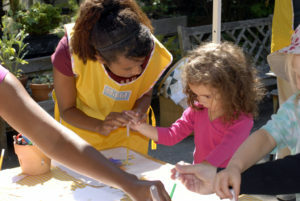 Volunteers should be a welcoming presence in the garden and comfortable interacting with young children and their families. Volunteers can sign up for as many of the dates as they like, but please let us know ahead of time! Field trips, mostly for preschool through second grade, occur throughout the school year. 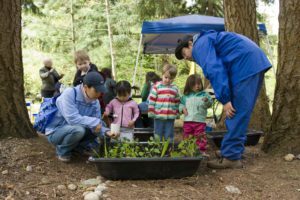 Volunteers help guide simple activities, based on seasonal field trip themes, at a Garden station through which groups of children rotate. Field trips last for an hour to an hour and a half, depending on the age group. They often begin at 10:30am. Please visit our Kids Only page for more information about children’s programs. 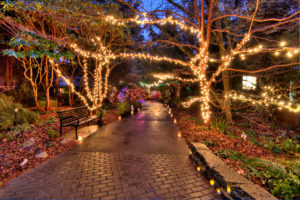 Help with our various special events throughout the year; Solstice Stroll, Spooky Night, Garden Party, Concert in the Park, etc. All these events need extra planning, set-up, and your volunteer expertise to pull them off. 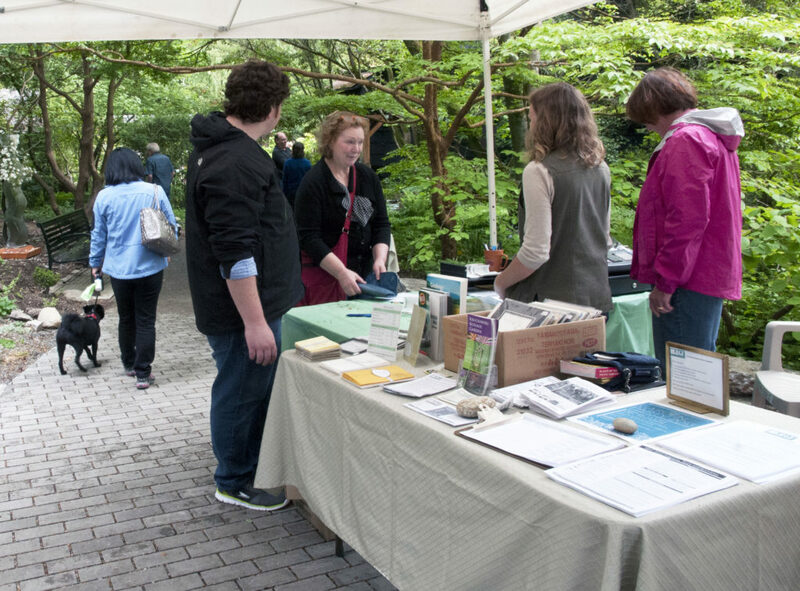 Volunteers can also represent the Kruckeberg Botanic Garden at community outreach events such as the Shoreline Farmer’s Market or other local events.